02.025 Flash bench is a functional and stylish seating. 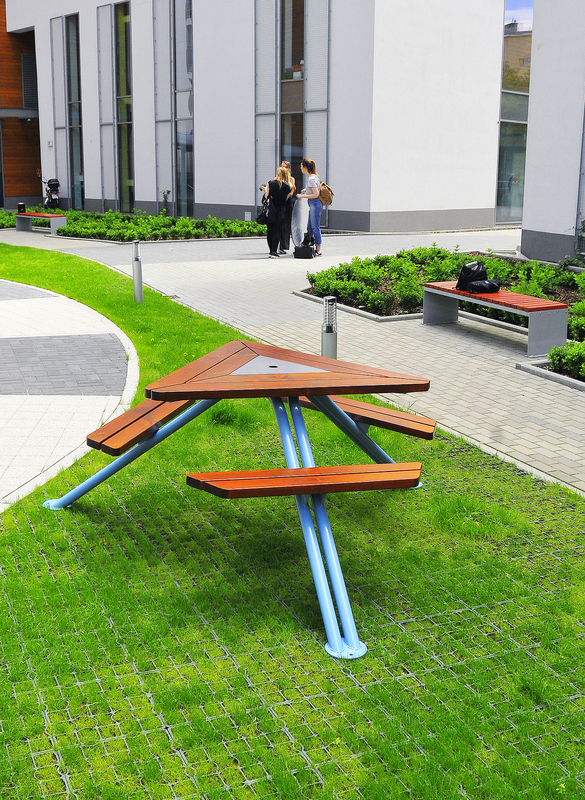 Modular systems of this model allow configurations to be created that will maximise the functionality of public spaces and meet the demands of modern environments. What is more, Flash board sections can also be manufactured in non-standard specifications,making the possibilities almost endless. 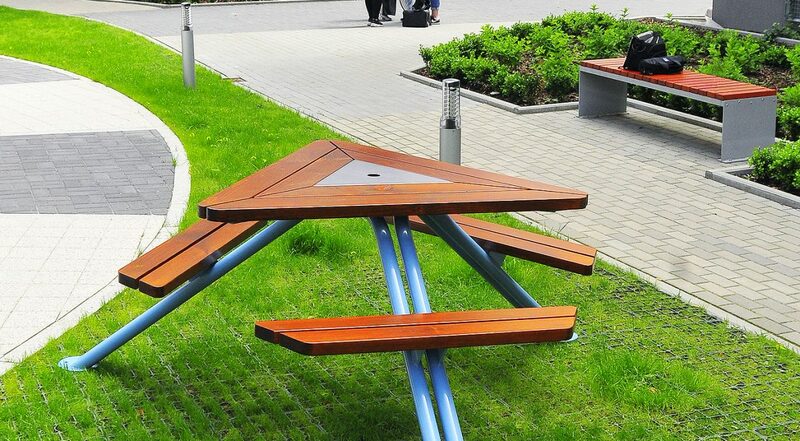 Flash bench is made of stainless steel construction and wooden boards seating section. It will be perfect project for shopping centres, parks and universities. One of the most popular materials used in manufacturing small urban architecture is stainless steel. It is a durable and elegant material used in our highest quality products. However, recently architectural concrete is gaining more popularity. That material is extremely durable as well and esthetic at the same time. It combines classic simplicity and modern minimalism. We used architectonical concrete also in other ZANO products: trigono bench and concrete sitting. In our recent project we created an urban chair with a base made of architectonical concrete. Classic raw and cold concrete is soften by 8 mm thin stainless steel backrests and armrests. 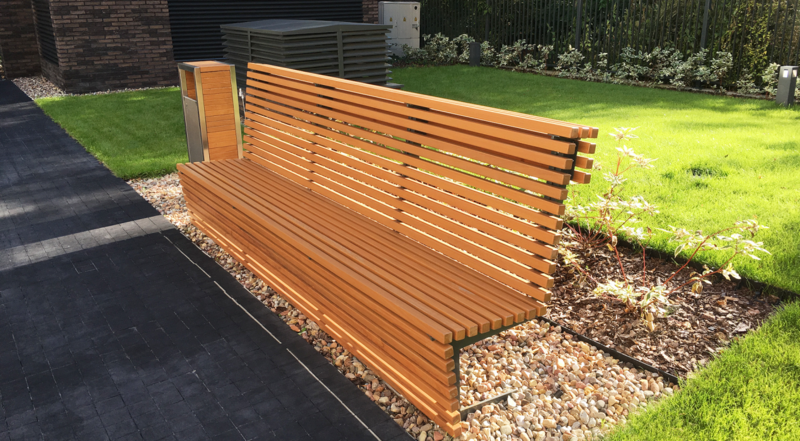 Painted with our RAL palette colours, they may get an elegant touch with dark shades or a modern urban style with light colours that will light up your neighbourhood. 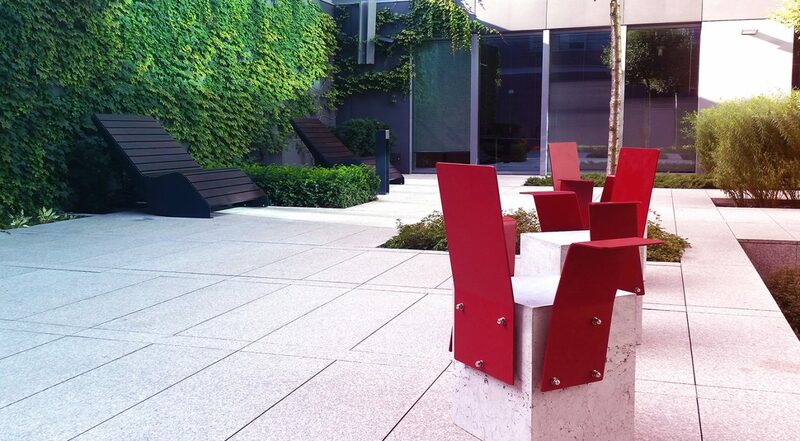 The C BLOCK urban concrete chair is perfect for business centres and urban spaces surrounded by concrete buildings. Thanks to our new projects, the time you spend outside will become a completely new experience. 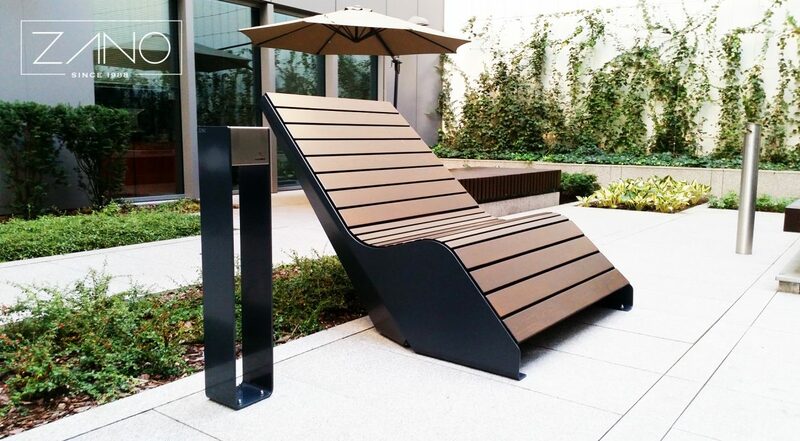 Get comfortable in our C BLOCK urban concrete chair and enjoy the urban spirit.